Prof. Dauber was an engaging and informative instructor, who was always well prepared for classes. Her teaching style facilitated greater understanding of the readings. Professor Dauber is a very approachable professor and very helpful when I got stuck. I would recommend her to other students. Great professor, great class. I actually enjoyed coming to this class at 8 a.m.
Dr. Dauber has inspired me and has made me want to learn. My dissertation was published in August 2012 by Budrich publishers, a very well-known German publisher. A copy can be obtained via Amazon or from the publisher. Do Top-Notch Academics Need Coaching? For the PCA/ACA 2012 Conference in Boston, to which I submitted an abstract, I was awarded the Peter Rollins Award. This award goes to young researchers and is endowed with $500. Her analytical approach immediately left a very competent impression with me. I can only strongly recommend her to everybody who is looking for a determined, yet sensitive coach. Since the beginning of our collaboration, Ms. Dauber has always given me the feeling that she will be there when and if I need her. The support that I receive from her is amazing. Not only can she motivate a client, she can also help him or her trust their own skills. She did not only help me improve my English, she also helped me gain new insights into the social sciences and extend my knowledge. It is important to us that our son does not have to cover time consuming distances in order to receive extra tuition. 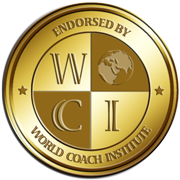 Thus, we decided to try online coaching which thanks to Dr. Dauber turned out to be very structured and successful. The root of this success is her qualification and her social competency, which shape her way of teaching. Dr. Dauber is a very patient and understanding person. She realizes what the problem is even before the client does. She then communicates the problem very gently and with humor, which motivates the client to face the problems. Mrs Dauber’s high standards and excellent methodology are very rewarding. She is a very conscientious and supportive coach and instructor. She tailors each lesson specifically to her students needs and understands how important it is not only to explain complex subject matter in simple terms but also motivate the students and boost their confidence.